Paul and Gillian Alexander moved into their home in the north-east eight years ago. 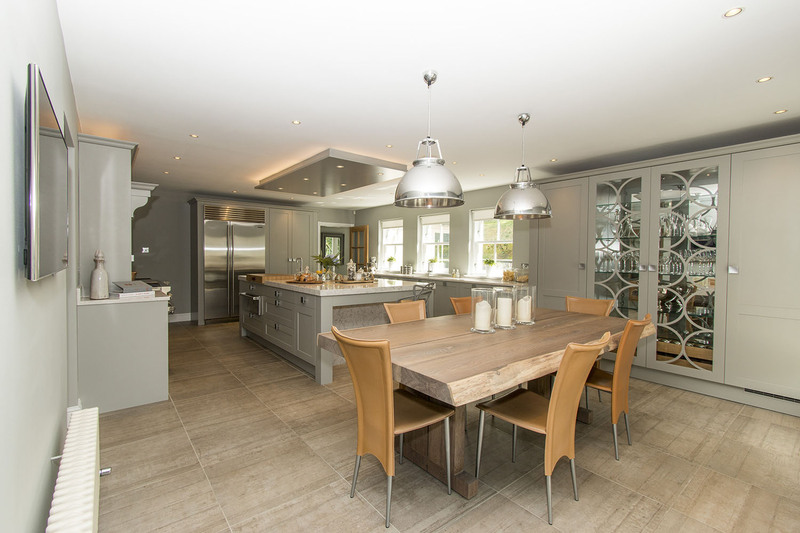 A new-build, it was already equipped with a KI kitchen. The couple appreciated its high quality and functionality but were now ready to upgrade in the hope of giving the room a sense of grandeur and achieve their 'dream interior'. 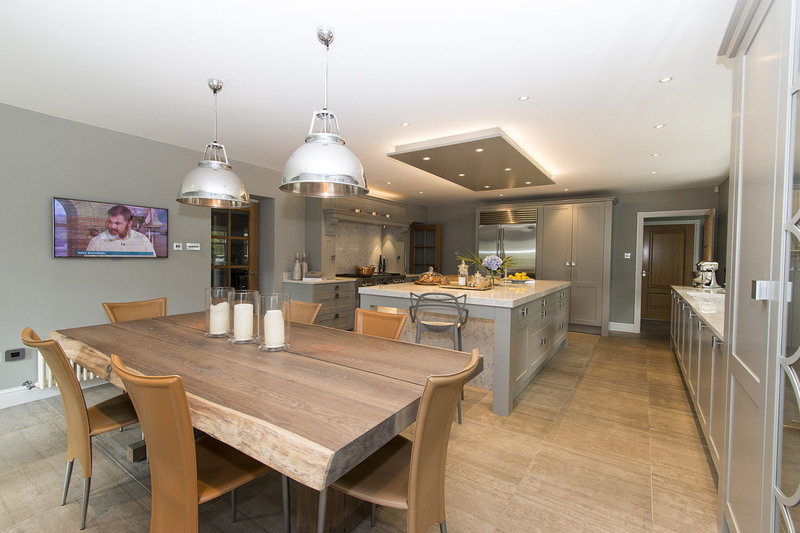 The clients wanted an impressive, yet highly functional and practical kitchen along with plenty of dining space. It had to be easy to maintain, with lots of storage, and be a sociable space for informal dining and gatherings. Paul, with his uncanny appreciation for quality and detail in terms of product, installation and the functionality of design; and Gillian, with a skill and passion for interior design provided KI with not just a real challenge but also a very interesting and delightful project to work on. In essence the space KI had to work with was fantastic, but in reality a little too small for the sense of grandeur that Paul wanted to create, particularly with the ceiling height being too low. 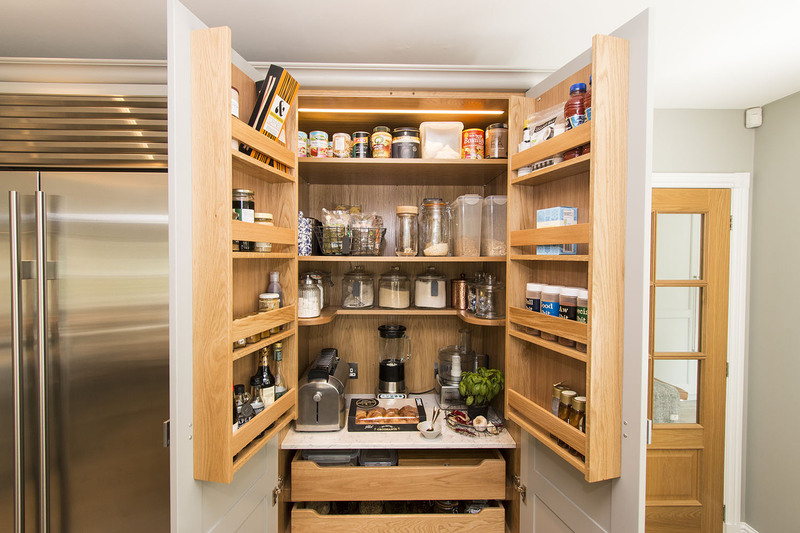 To achieve their ‘dream interior’ and to maximise the sense of width to the room, we incorporated a weighty pantry and cooling wall taking position on the narrower wall as well as making use of reflective material opposite the windows. With the restricted ceiling height it was difficult to achieve the grandeur expected by the client. 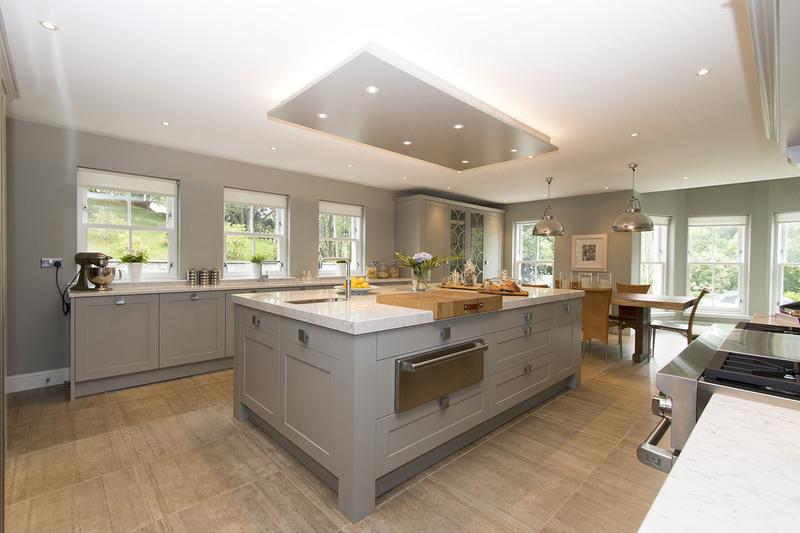 However, by cleverly proportioning furniture from our bespoke collection painted in Farrow and Ball’s Lamp Room Grey, we were able to create the ambience and achieve the grand feeling that the client wanted. 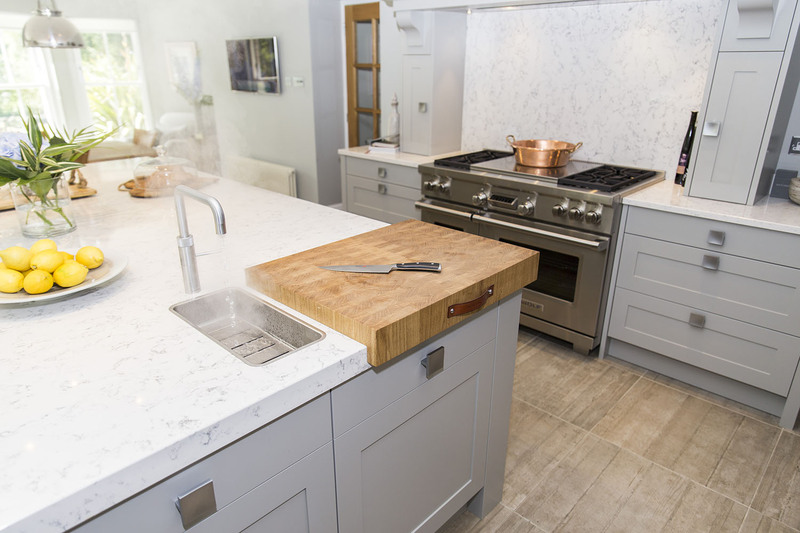 All facets of the island were placed and detailed to offer optimum performance for each particular phase of the cooking process as well as being positioned so the 'chef' can embrace the whole space and engage with others in the room. 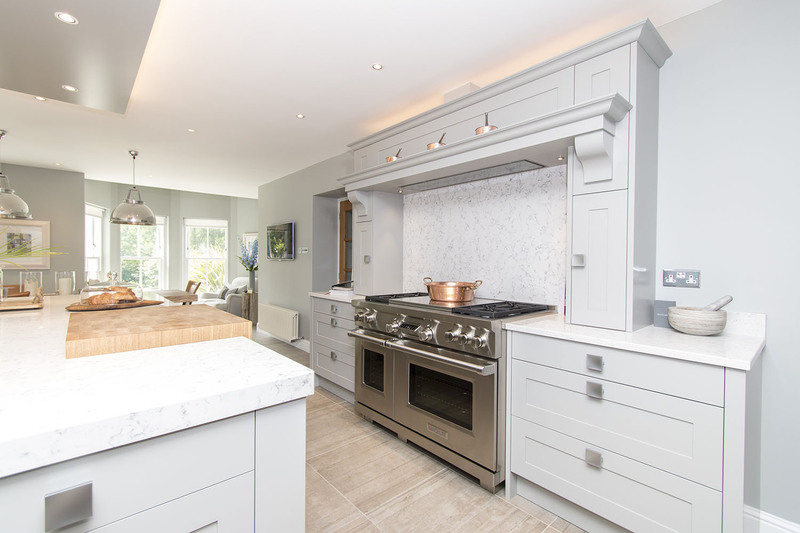 Professional quality cooling and cooking appliances from Sub-Zero and Wolf were incorporated into the design because of their large capacity, storage and stunning attention to detail in terms of design and finish.